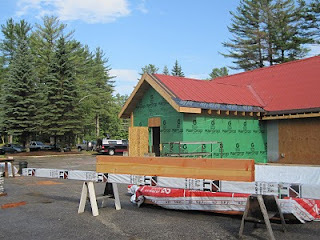 It is really exciting to see the progress taking place over in our new learning center, the former Arlberg Lodge. 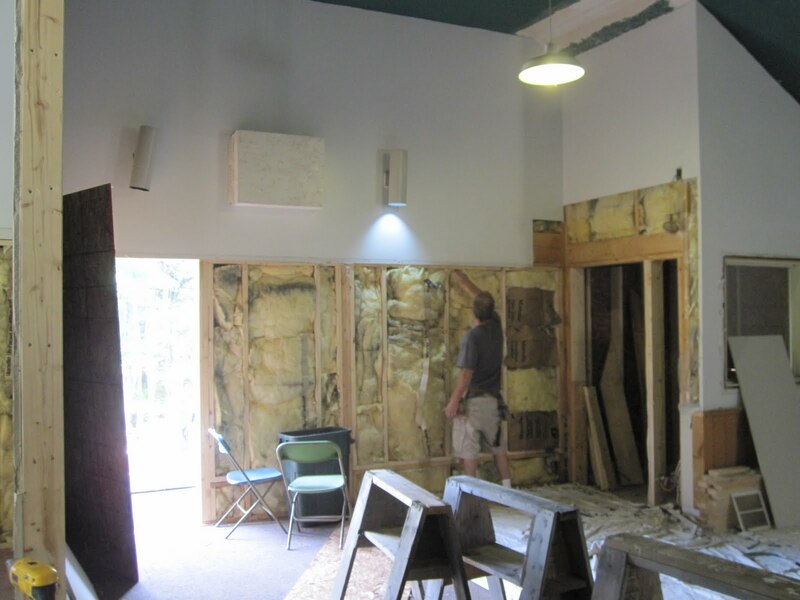 Here are some photos showing the demolition of parts of the building, plus the gutting and renovations taking place inside. The relocation of the South double chair to the left of the magic carpets in Beginner Basin has also begun in earnest. It's so rewarding to see these improvements going in after so long! 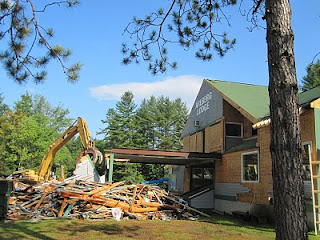 The Arlberg Lodge's former "tower" section and overhang has been removed. Pouring concrete for the footings of the relocated South Double chairlift. 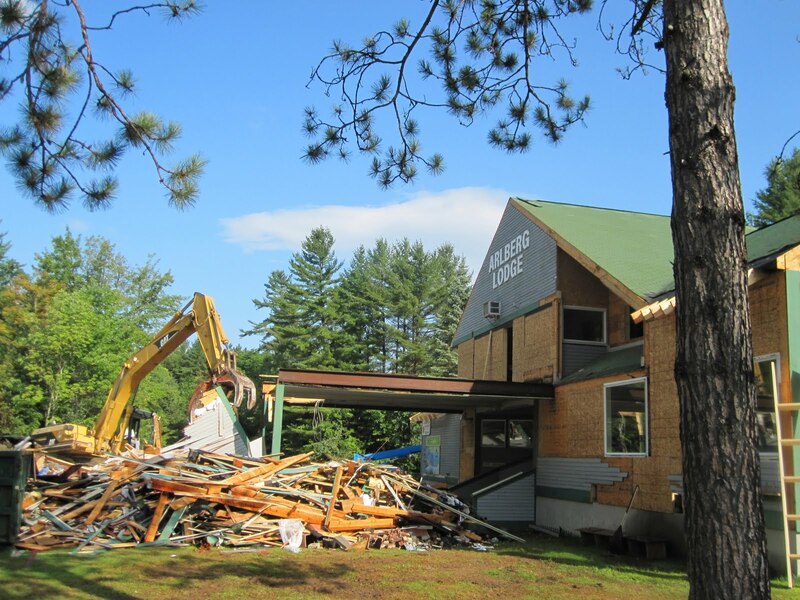 The South is being replaced by a detachable quad and the "old" double is being moved to the new learning terrain. 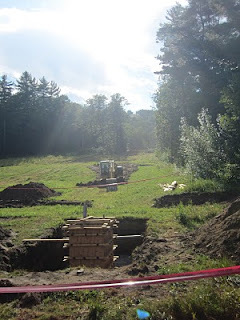 Looking up the mountain at what will be the relocated double's new lift line. Ticket Office renovations continue at a brisk pace. Another shot of the Arlberg demoliltion. There it goes! Inside the Arlberg. 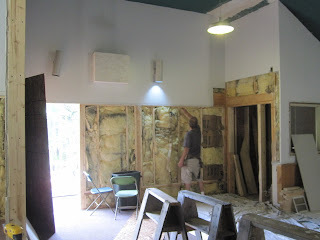 Much of the building has been gutted down to the studs. 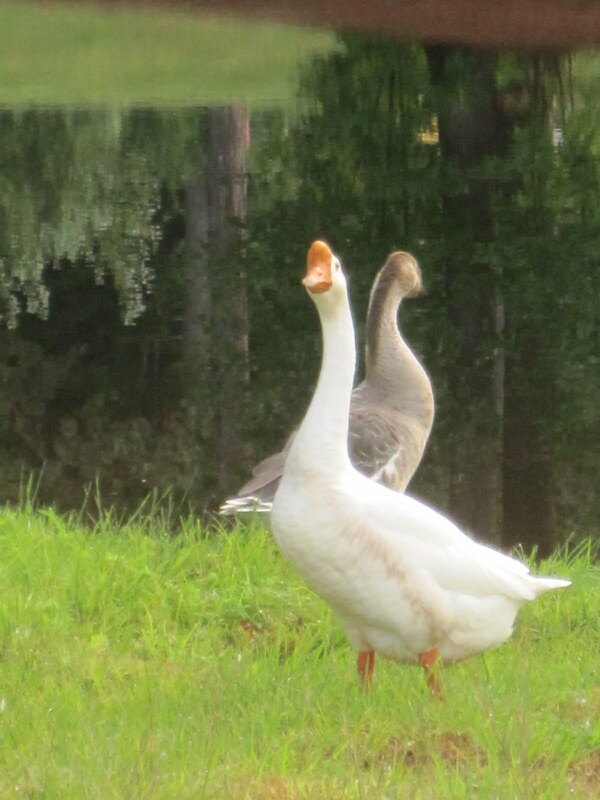 The geese don't know what to think of all this!